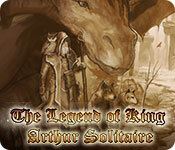 The Legend Of King Arthur Solitaire is rated 1.5 out of 5 by 4. 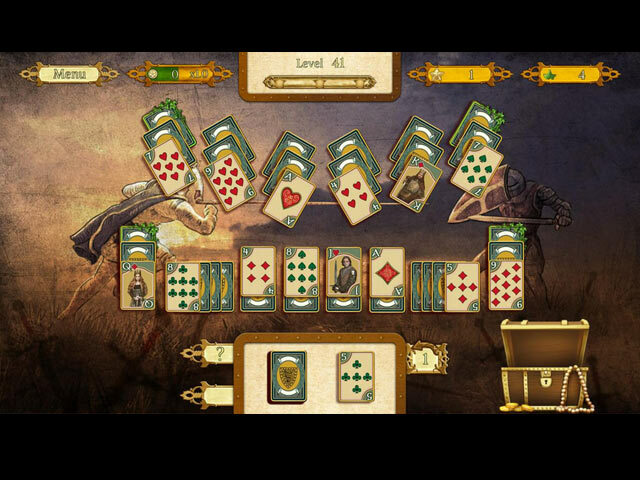 Rated 3 out of 5 by pennmom36 from WITH A FEW TWEAKS THIS WOULD BE A BETTER SOLITAIRE GAME I love Higher/Lower Solitaire games, but this one has a few features that make it just an average solitaire game that will easily be overlooked. You can choose from 4 different card themes, and 2 font styles and this is the first feature that needs to be tweaked. The card design and colors are all the same with no curb appeal, the only difference is with the cameo sketch in the middle of the card of a knights head armor, a sword a shield etc. The only difference between the fonts is either a single Ace, Spade, Heart or Diamond or card number specific suits such as showing 9 shamrocks on the # 9 of clubs. There are 12 Levels and 10 games in each level. You have to earn a specific number of stars to open up the next level. This is also another area that needs to be tweaked. There is a star meter that fills as you remove cards from the board, but the goal for each level is to remove a specific number of Special Cards as indicated by Ivy along the top and right corner of the card. You can pass the level with 1 or 2 stars as long as you remove the specified number of special cards, but you can't proceed if you earn 3 stars but haven't removed the required number of special cards!? My third and final complaint is that you have to score a crazy amount of points in order to buy items in the shop that can help you. You can purchase a Deck Card remaining counter, Undo's, Shuffles, Discard 1 card of choice, Face-down Reveal percentages, and Wildcards, but you also have to purchase the opportunity to use them, and they cost anywhere from 15-30,000 ridiculous points. This game is worthy of a PCC, but in the end, this game is no different than hundreds of other Higher/Lower games, not to mention that most other games are more colorful and appealing. I really don't care for solitaire games that only require you to remove specific cards and don't give you the option to continue playing. Rated 1 out of 5 by twinsoniclab from Pay For This? No Way! 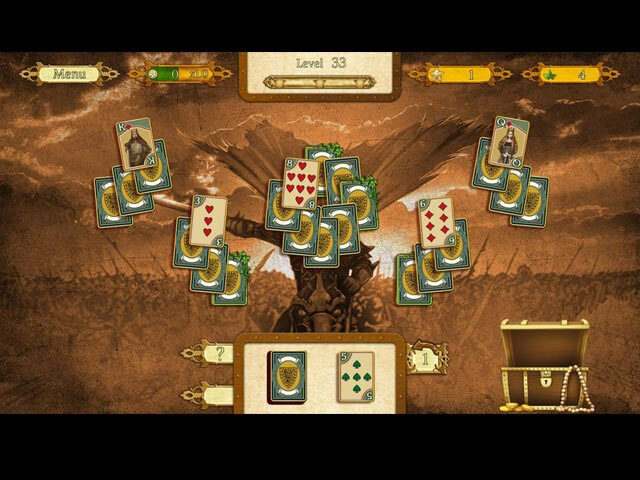 Basic one-up-one-down solitaire, with small drab cards on a drab background. That's about it. No preliminary story (read the game description if you want one I guess), just to the tutorial screen (too many instructions), then straight to the game. Not just basic, very basic. Worse than a decade ago as far as extras and even the expected touches. Miss clicking a card? No hint to let you know, so pay attention! You are given one reverse (mulligan, not called that here), and have to buy anything else. And the costs! Wow! You want a mulligan, hand over 30,000. How about a wild card? 30,000. Want to be allowed to USE that wild card? Apparently you need an additional 25,000! I had 5,000 at the time I quit. Choose from two card graphics, and four card backs. Mostly all the same... just tans and browns and small images. With all the wonderful solitaire games (lots of one-up-one-down that is, how about a nice Klondike people?!) available, why is this what's offered? We've been getting some pretty stinky offerings lately! Low quality. Too low for Big Fish to lower themselves selling, I think. Try Chronicles of Emerland Solitaire, Jewel Match Solitaire, Zombie Solitaire (I am not a Zombie fan, but this game is addictive! ), almost any but this one! I have better games on my phone, for free. Rated 1 out of 5 by CyndiLouWho2 from Forsooth! Begone unworthy game! Wow, everything's so small and the antique sepia coloring is just too washed out. My eyes ached after about twenty minutes. I might have put up with the poor visuals, if this game brought something new to the table. But there are no power-ups, no puzzles, nothing to build, nothing extra. It's 120 levels of utter boredom. 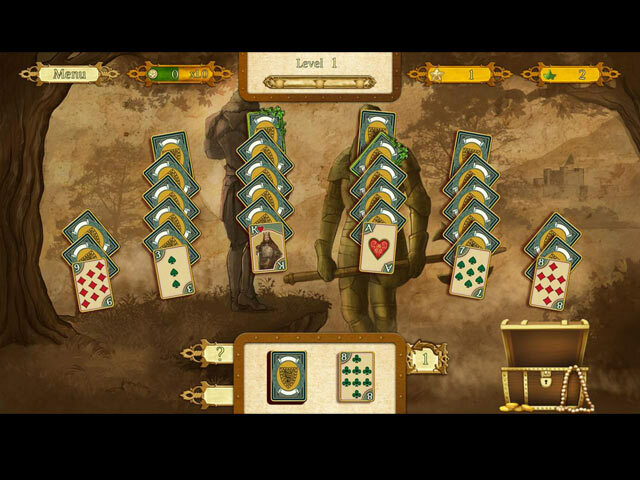 Check out Jewel Match Solitaire A'Mour or Twilight Solitaire or Regency Solitaire if you want to play something fun! Rated 1 out of 5 by Pickles77 from GAME TO GO BLIND WITH!!! Omg, this is the worst solitaire game that I have ever played, I don't know what the developers were thinking!!! I usually love games from this developer but I couldn't even get through the first hand.....there is no color at all, just a washed out tan color, the graphics are horrible, if you want eyestrain, then this is the game for you :(....I am really disappointed in this game, please developers, NO MORE like this one!!!!! Ugh!! !